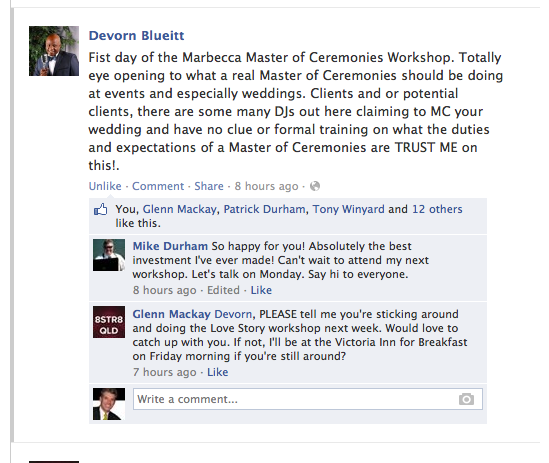 CLICK HERE for Workshop Pricing or CLICK HERE for Private Consultations. The minimum requirement for MarBecca to travel to a location outside of California is FOUR workshops. For instance, if you would like a MarBecca workshop held in Philadelphia, we would list four (4) workshops in our Doodle Poll to gauge interest in the Philadelphia area. Once there were a minimum of five (5) paid delegates for each of the four workshops, MarBecca would make the travel, hotel, and other arrangements. MarBecca cannot travel for fewer than four (4) workshops per location. CLICK HERE to send Rebecca an email or call (909) 226-7032 if you’d like to add a Doodle Poll for your state or country.